In front of a packed house at Ausdeck Patios Archerfield Speedway on Sunday night (January 27), Darren Vine clocked another feature race win to take out round seven of the Polar Ice Midget Track Championship. Assuming the lead on lap six, Vine was untroubled in his drive to victory lane as Rusty Whittaker advanced into second spot following the demise of early leader Glenn Wright. Having started on the front row alongside Wright, NSWs Mitch Brien finished in third spot ahead of Brad Dawson and Tom Clauss. Having been granted the opportunity to feature on the Australian Sprintcar Championship program and showcase their racing to a plethora of potential new fans, the field was certainly smaller than expected under the circumstances, with only 15 drivers taking on the time-clock in qualifying and just 14 facing the starter in the feature race. Understandably not getting the best of the track conditions for time trials, it was Tim Farrell who logged the quickest at 15.457. Clauss (15.536) was next best, followed by Whittaker (15.965), Vine (16.034) and Nathan Mathers (16.104), with Brien, Ricky Robinson, Audie Malt, Wright and Mitchell Rooke rounding out the top ten. Despite starting towards the back of the field, Whittaker looked on track to win the opening heat, wresting the lead from Wright on lap seven. However, a lap later, Whittaker was on the infield and Wright reclaimed the top spot to take the win ahead of Chris Singleton and Brien. Heat two saw Clauss break through for his first heat win, leading home Brad Dawson and Brien. The third outing saw Brien lead all the way to defeat Whittaker and Wright, whose third place result would be enough to secure pole position for the feature race. In the final heat, Mathers led early before fading to finish fifth as Vine surged towards the front, rounding up Riki Harrison on the penultimate lap to grab the win, with Cal Whatmore third. Wright easily accounted for Brien to lead the field away in the feature race and he remained in command until lap six when Vine charged into lead. Wright continued to hold sway in second spot despite the best efforts of Whittaker, who started back in the pack after failing to finish his opening heat. It was only when Wright headed infield amidst a cloud of smoke and steam with five laps to run that Whittaker was able to take possession of second spot, leaving him little time to make any impression on Vine. Next in line were Brien and Dawson, with Clauss completing the best night of his rookie season thus with a fifth-place finish. Scott Doyle, Singleton, Mathers, Farrell and Malt completed the top ten, although Robinson was the only other finisher as Harrison and Whatmore failed to go the distance. In Compact Speedcar action, heat wins fell to Matt ONeill and Mark Maczek before Cody Maroske accounted for a very small field to win the feature race. Dave Collins and Maczek filled the minor placings and were followed to the line by Nick Gannon and Rob Stewart. 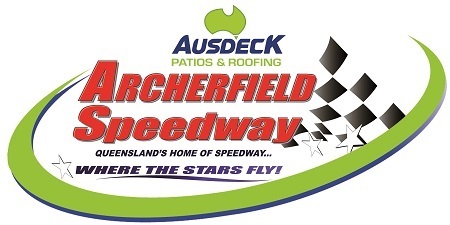 The next event at Ausdeck Patios Archerfield Speedway is Saturday, February 9 featuring round ten of the East Coast Logistics Sprintcar Track Championship and round eight of the Polar Ice Midget Track Championship, plus Formula 500s, Compact Speedcars, Lightning Sprints and Formula 500 Juniors.